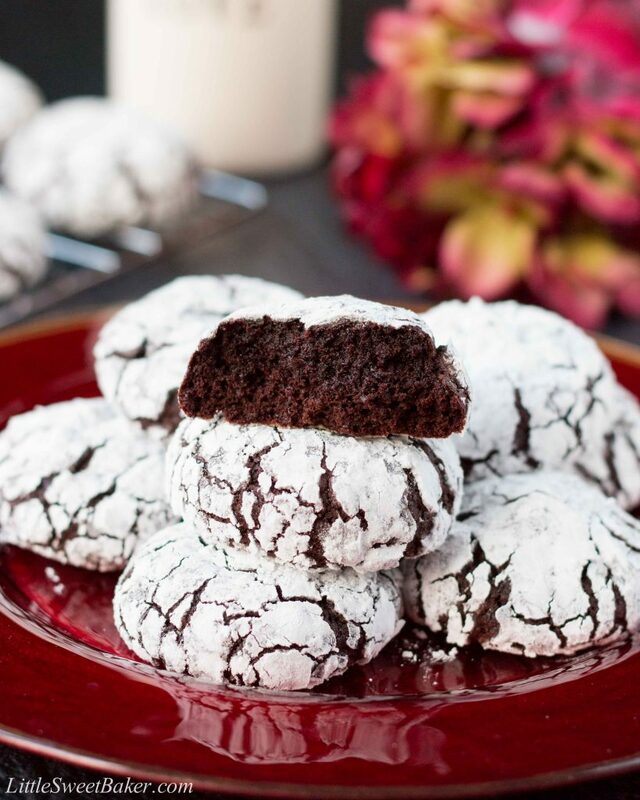 These chocolate crinkle cookies are rich and fudgy, like a brownie bite rolled in powdered sugar. 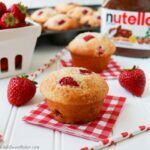 The batter is so easy to whip up and it’s great for little helping hands to participate in the fun of baking. My husband has been complaining that I have been making too many old-fashioned types of cookies. Sugar cookies, shortbread cookies and molasses cookies aren’t his thing, but anything chocolate is, so baby, this one is for you. 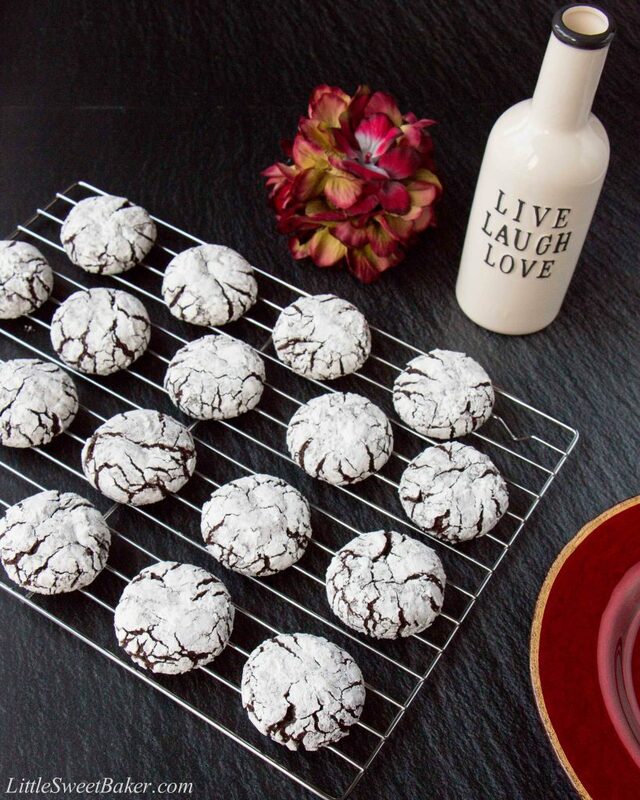 If you like chocolate, than you’re going to love these chocolate crinkle cookies because of their robust chocolate flavor. This quick and easy one-bowl recipe does require a little bit of chilling time, but trust me it’s worth it. 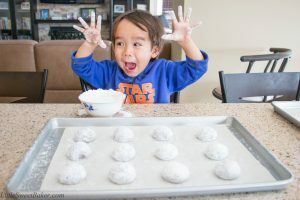 Once the dough has firmed up, then you simply drop it in a bowl of powdered sugar, coat it, and roll in your hands. This is where little ones love to help out. These are an old photos, but I couldn’t resist sharing them again. My little Charlie loves to help mommy in the kitchen and loves to get his hands messy. 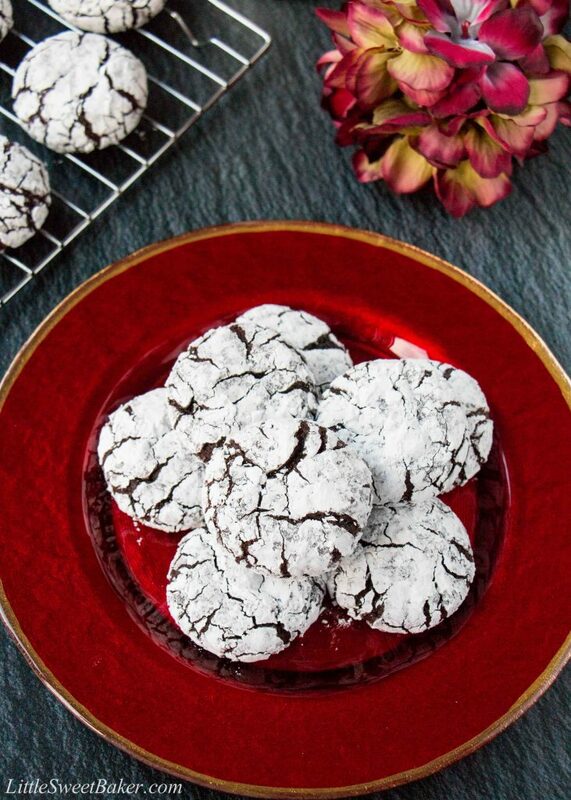 These cookies are incredibly rich and fudgy. The taste is very chocolaty with the right amount of sweetness. 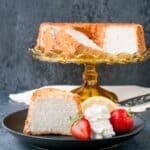 The texture is chewy and dense, and the powdered sugar gives it a snowy festive appearance and finishing touch. So I hope you enjoy these cookies and I would like to wish you all a very merry Christmas. See you in the new year! 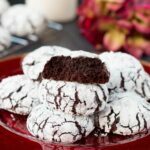 These chocolate crinkle cookies are rich and fudgy, like a brownie bite rolled in powdered sugar. In the bowl of a stand mixer with paddle attachment, beat the cocoa, granulated sugar and oil on medium speed. Reduce the speed to low and add 1 egg at a time until combined. Mix in the remaining ingredients in the order listed, except for the powdered sugar. Cover the bowl with plastic wrap and chill in the refrigerator for 4 hours. Place the powdered sugar in a small bowl. 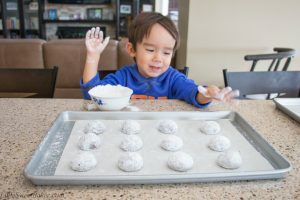 Using a cookie scoop or tablespoon, drop the dough into the powdered sugar, coat it well, then roll it in your hands. Place on prepared baking sheet about 2″ apart. Bake for 10 minutes. Allow the cookies to rest on the baking sheet for a minute before transferring to cooling rack. Since the recipe calls for baking powder, are we supposed to use Dutch processed cocoa? In other recipes, you specify. 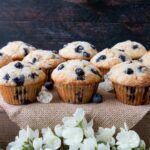 You can use natural or dutch processed for this recipe. I hope you enjoy the cookies, and have a great week! 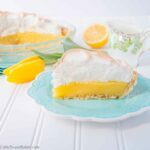 I made this and it was lovely, thanks for sharing the recipe!! You’re very welcome, Tresa! I’m glad you enjoyed it, and thank you for your kind words! You’re very welcome and I’m always glad to help!